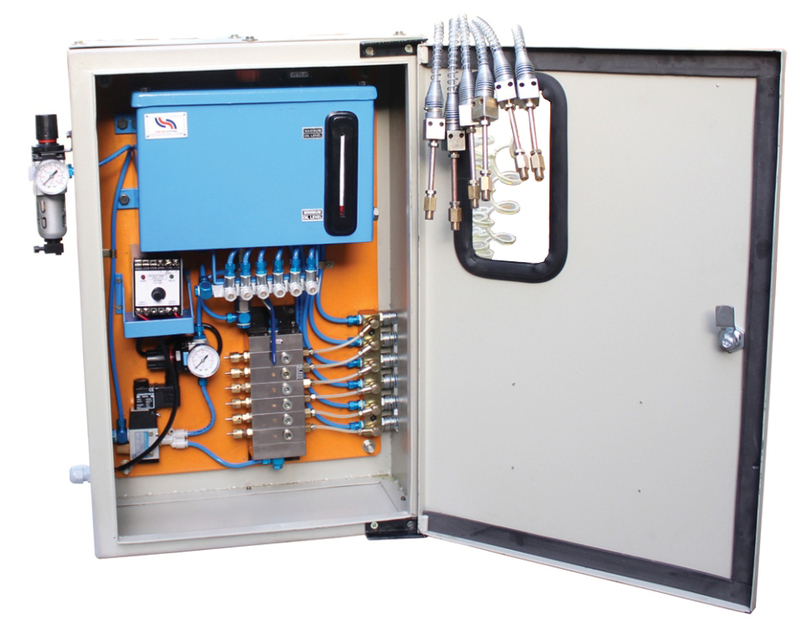 In Injector Type Air Oil Mix units oil is metered and delivered by Cenlub Systems' Oil Injectors. Oil Injectors are positive metering piston type pumping units which deliver the precise amount of oil each time. These are adjustable type with range minimum dose as little as 0.003 cc to maximum dose of 0.03 cc. The oil after the injectors is mixed with air and broken down into minute particles which are sprayed on the desired surface.